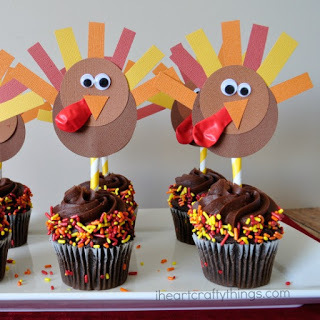 Are you gearing up for loads of Thanksgiving festivities in the coming weeks? Whether you’re hosting a family get-together, helping with school parties, or celebrating with close friends, I have the perfect DIY Thanksgiving turkey party favors to share with you today. 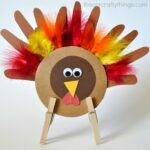 They are super simple to make, even for children, and they make a darling gift for teachers, friends and family. Did I mention how adorable they are? The recipient will surely grin from ear to ear. 1. 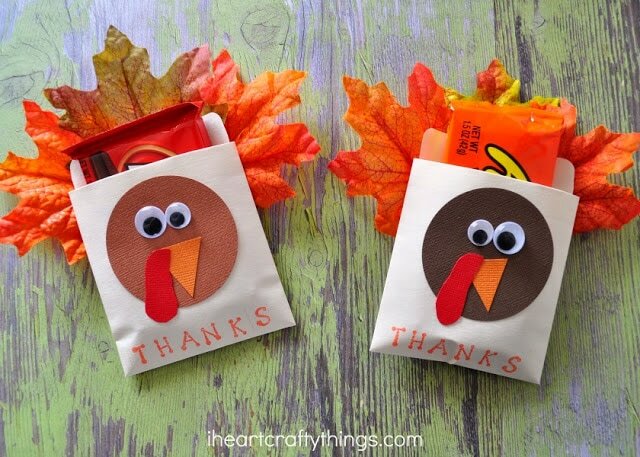 Start by putting two Glue Dots at the bottom of each leaf and attach them onto the back of the manila pocket for turkey feathers. 2. Optional: Stamp the word “THANKS” at the bottom of the manila pocket with your small letter stamps and stamp pad. 3. Cut out a 3-inch brown circle with your circle punch and glue it onto the front of the manila pocket. 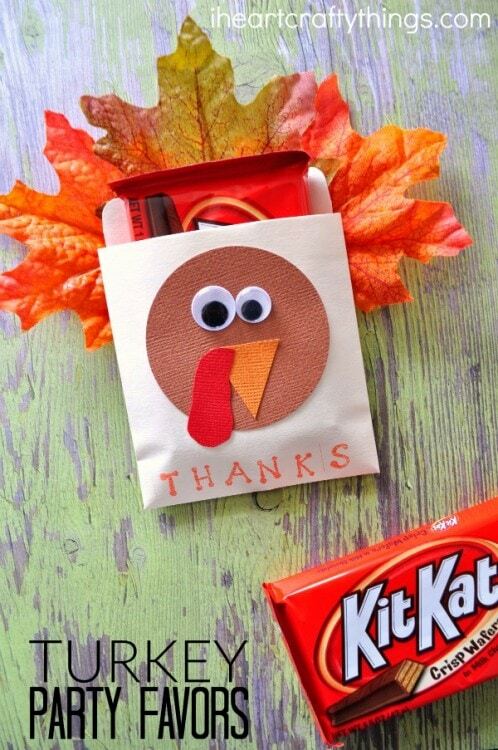 Glue on googly eyes, a red waddle and an orange beak. 4. 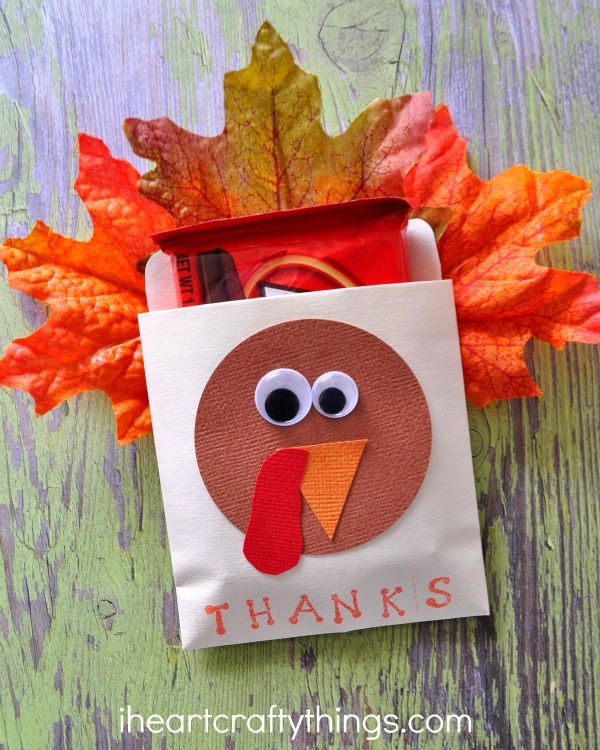 Place your candy bar inside the manila pocket and you have an adorable DIY Thanksgiving turkey party favor ready to hand out to your party guests, teachers, friends or neighbors for a fun Thanksgiving treat.